On our road trip from Moscow to the Arctic Circle and beyond it, we leave the paved road for the water road and set off for the Solovki Islands. 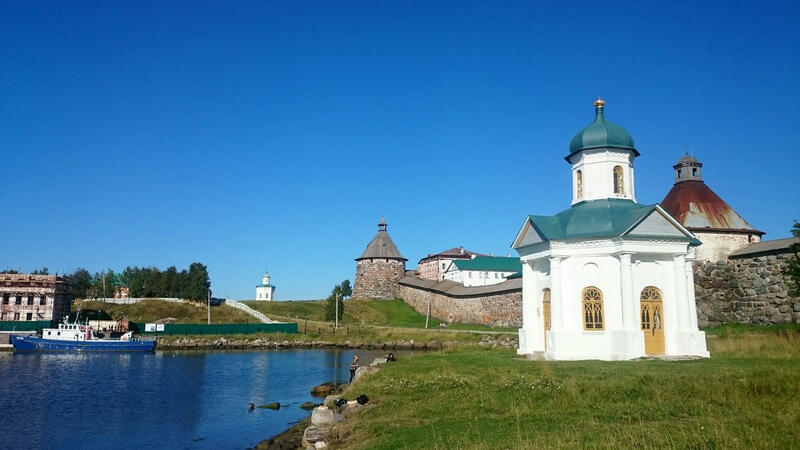 Solovki embodies all the reasons we love the Russian North for: the beautiful nature, the remoteness and historical architecture. However, these idyllic isles have some obscure history of their own. The islands first got famous for its monastery, dating back to the 15th century. The monks who chose to settle on the islands were believed to be the ones who looked for extremely hard life conditions and a simple way of life. The most northern monastery later received influential protectors and Maecenas. The splendid stone churches and wide stone walls of the fortress were the outcome of the fame of the monastery and its successful management. Despite a long and dangerous way – or due to it – a great number of Orthodox pilgrims visited the islands. In the 1920ies, the islands were occupied by the Soviets and the monastery was closed. With the Bolshevik Revolution, the Islands were transformed into a detention camp for political prisoners and later transformed into a labour camp. The labour camp was first operated as an experiment. Soon, it was considered to be a success and the network of the labour camps spread throughout the whole Soviet Union. In the 40ies the islands were used by the marines and starting from the 60ieth the museification process started. However, it was mainly the beauty of its architectural forms and the role of the fortress protecting the “motherland” from enemies that were tackled in the guided tours. In the 1990ies, the monastery life was revived and soon it became the biggest power on the islands. The old churches of the island are used as the sacral spaces again. The island restores its image of the biggest Orthodox shrines in Russia, compared to Jerusalem or Athos in its importance. You should plan at least 3 or 4 days to explore the principal island and some of the smaller islands of the archipelago. 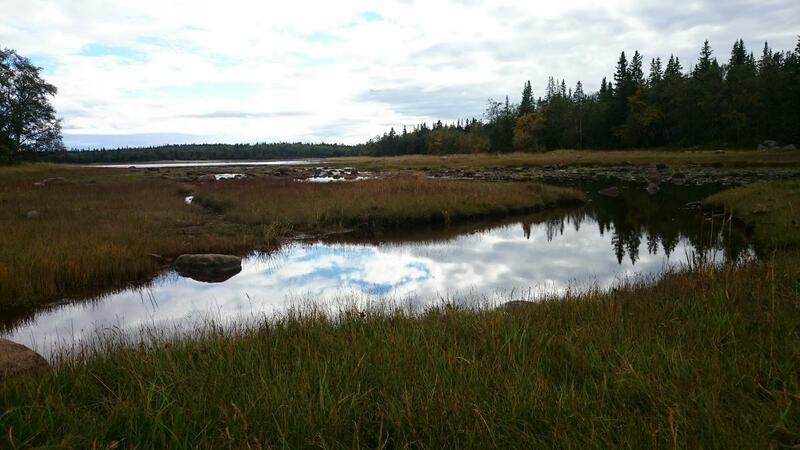 Even though a half day is enough to see the main department of the monastery, it is good to have plenty of time for walks in the woods, to chill at one of the hundreds of small lakes or at the coast of the White Sea. You may rent a bike and make a loop tour around the island or pick one of the smaller departments of the monastery as your target. You may rent a boat and do a water tour through the lakes and canals (dug before the Communist Revolution). Do visit one of the former barracks now turned into a labour camp museum. 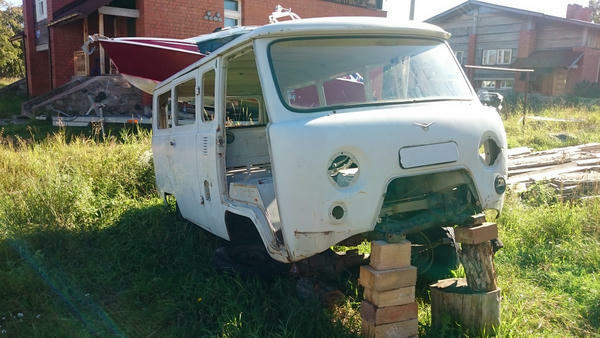 You may go on one of the organized tours to the neighbouring islands, of which Anzer would be the most unique experience. Try to sneak into a pilgrim tour, taking place daily (that might be a good reason for joining it, the museum tours take place just twice a week!) and make acquaintance with the pilgrims of Solovki. Maybe you will get the answer to the question why people are heading to Solovki in search of contemplation. Join one of the tours organised by the rebellious agency “Independent Guides” to get another – anticlerical – perspective on what is happening on the islands today. 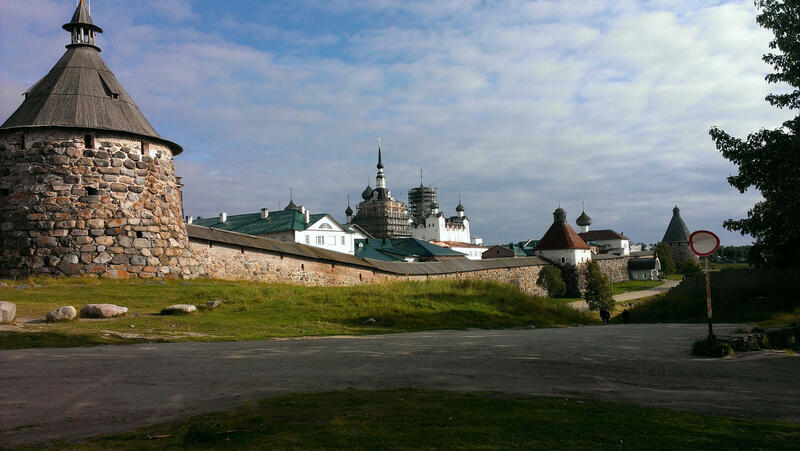 Solovki was a men’s monastery and only men were allowed to stay at the principal island. The women’s pilgrim hotel was located on a separate island of the Archipelago. The female animals also had their own island. Now, women are allowed to stay on the principal island, but to get into the churches they are required to obey the dress code: wear a long skirt and have their heads covered. Except for the aforementioned barrack, turned into a museum, there are still other barracks standing, however, they are used for other purposes: a shop, a cafe and as normal dwellings. Rooms that used to be prison cells are rented out to the visitors of the island. Alcohol addiction is said to be a big problem on the islands. A guide who was working there in the 1990ies told me how he acquired all the household utensils after he had moved to the island. He paid for every item a fixed price of 20 Rubles. At first, he was puzzled by this fixed price. It turned out that it was the price of the liquid cleaning agent (with alcohol in it) that was consumed by some locals as it’s much cheaper than vodka. But Solovki of the 1990ies could also be characterised with dedicated – almoust altruistic – work of the museum´s staff: The paychecks the guides received were not sufficient even to buy food, so the guides were picking berries and mushrooms during the long day tours to the Anzer Island – for themselves and their colleagues. When there was no electricity in the museum’s office, the staff continued to work in the candlelight. Convinced of the importance of their mission, the majority of the museum’s workers didn`t leave the islands. How to get to Solovki? There are 2 boats operating between the mainland (Kem) and the islands in the high season. 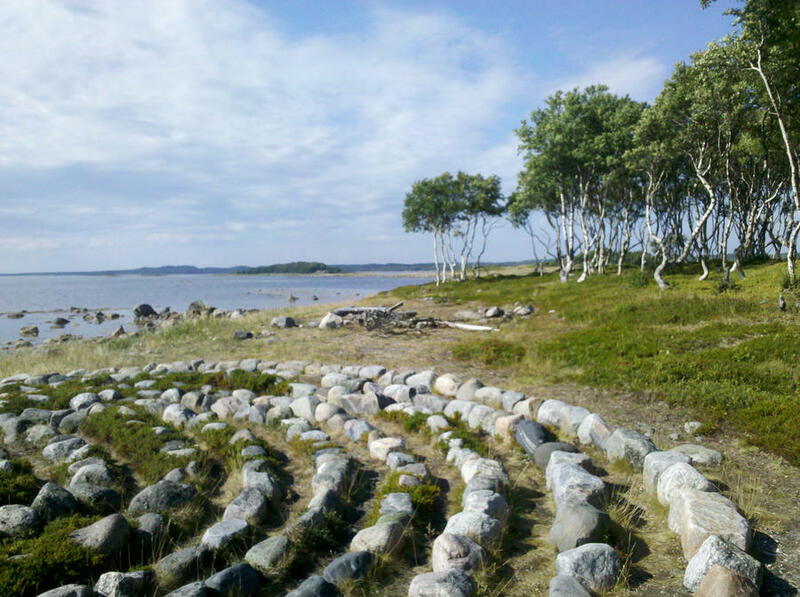 The water connection to the islands is opened only from May till October – when the White Sea is not crammed with ice. The boats leave Kem for Solovki in the morning and return in the afternoon. You may spend a night in Kem and catch a morning ship, but it may also be a good idea to arrive early in the morning by a night train and head directly to the port. The trains leave and arrive on time so you should not be worried about delays. Otherwise, you may also try getting there by air from Archangelsk. However, the bad weather conditions may cause week-long delays. Also getting to the islands by train and boat, beware, that boats might be cancelled or delayed due to the weather conditions. 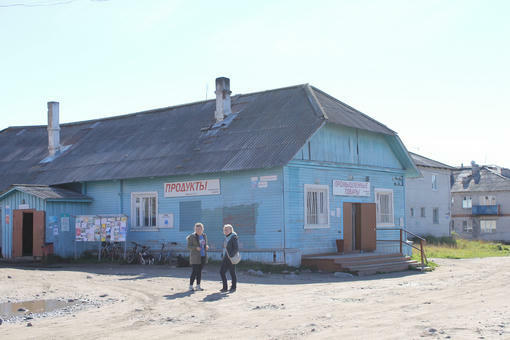 Our top hotel choices are: Priyut (55$) and Turkompleks “Solovki”(52$). While the first has a great view on the bay and the monastery, the second boasts a remote location in Khutor Varyazhskiy where you may spend days in solitude. Accommodation on the island is quite pricey! If hotels are too expensive for your budget, you may pitch a tent on the grounds of a campsite or you may rent a room from the villagers. The third time on the Solovki Islands I decided to try this option: Well, the room we got was basic at best with a stinky outhouse in the yard. There was no shower, however, travellers staying in the private sector may shower in the big hotel “Peterburgskaya”. In summer, plan some extra time as people queue up for the shower. A standard room to rent in the village from the locals. Even then, this basic room we`ve got was something like 25$ or 30$ per night. I understand that it is important for the locals to make some money during the short summer season. 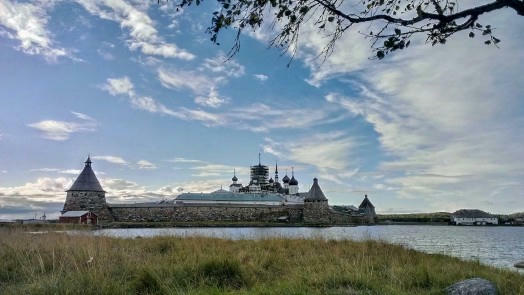 But it is a shame that such high prices make Solovki accessible to only a specific category of visitors: either visitors on a bigger budget, usually from Moscow, St Petersburg or from abroad, or religious people who stay on the islands longer and get accommodation and meals for free – in exchange for the work done for the monastery. I think, the pilgrim groups, staying in the very basic dormitory, get some affordable option as well. 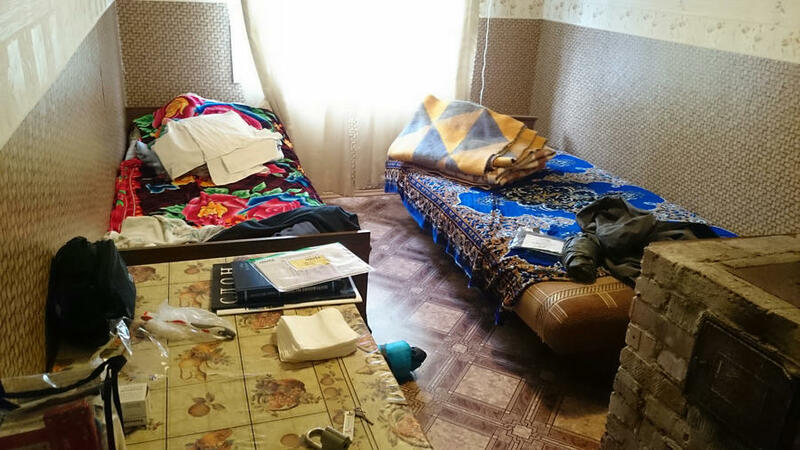 But then, for the Russians with 200-300$ monthly salaries, the ‘cheapest’ accommodation is hardly affordable. July to August is the warmest time of the year, the chance of having warm sunny days is the highest. In June and July, you will have the white nights, it doesn`t get dark here at all. 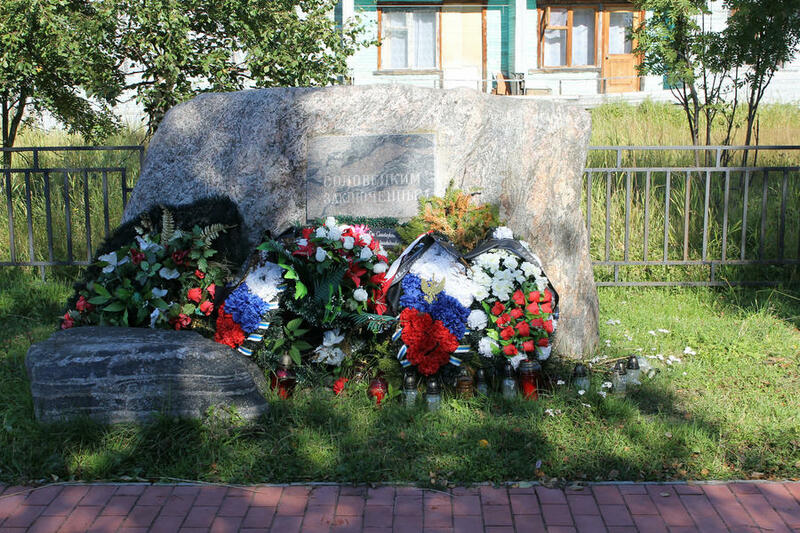 You may also visit the annual Remembrance Days of the Solovki Victims at the beginning of August – their organizers, NGO Memorial, does incredible work in sustaining the memory about the ones who were evicted in the labour camp. Website of the Russian Railways. Better book your tickets in advance! Timetable and contact of the company managing the ship opeartion between Solovki and Kem. You can`t buy your tickets online, but you may reserve it.